Nigerians rushing into Canada after Trudeau invited them to "enrich" Canada away from "racist Whites". It is hard to believe that Trudeau could have done anything more foolish than in 2017 inviting failed asylum-seekers who were staying in the U.S. to come to Canada. 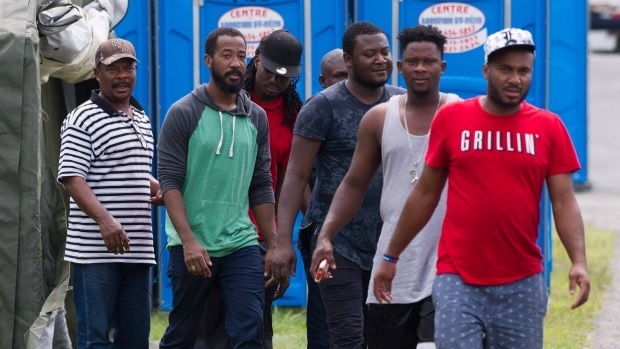 According to the Immigration and Refugee Board, close to 40,000 “Irregulars” (illegal immigrants) accepted Trudeau’s foolish invitation and crossed Canada’s border illegally, almost all at the Quebec/New York State border. That’s about 20,000 in each of the years 2017 and 2018. The exact figures are about 18,059 in 2017 and 19,419 in 2018. 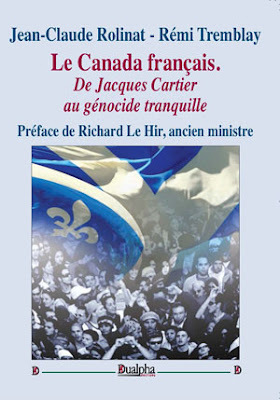 Since Trudeau took office in 2015, he has spent an enormous amount of time apologizing to ethnic groups for so-called “historical wrongs”. Trudeau’s biggest problem is that he knows little, if anything about any of Canada’s history and has relied on highly-biased ethnic sources to justify his apologies. If anything, he should be spending the rest of his months in office apologizing to all Canadians for having wasted so much of the first 45+ years of his life. As the Moral Conscience of Canada, I, Minister Hussen, demand that Canada becomes brown as fast as possible to defeat White Supremacy! He also should also apologize to all of Canada for hiding his ignorance by trying to sound educated. The most notorious example of that was his unprecedentedly stupid statement that “Canada is the world’s first post-national state.” As Trudeau is learning, that sentence and his 2017 “Welcome” to fake refugee claimants who had been rejected by U.S. refugee authorities will cost him dearly. His appointment of incompetent Immigration Minister Hussen (a Somali refugee who seems intent on creating another Somalia here) are compounding Trudeau’s troubles. 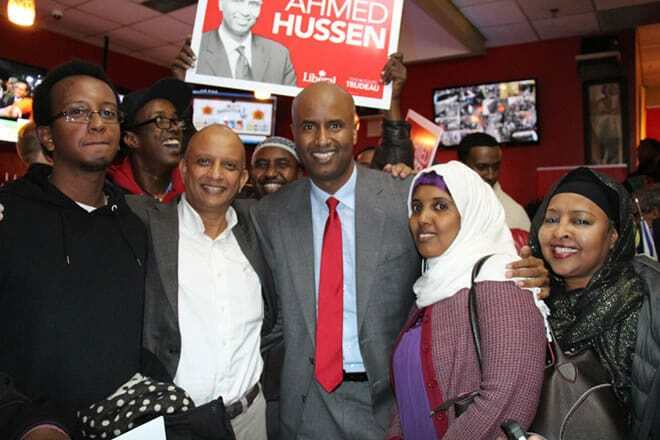 At the time of Hussen's appointment, Hussen taunted Canadians to accept the NEW NORMAL of 350,000+ immigrants per year! Instead of showing gratitude to Canada, Hussen continues to show contempt for Canada. Trudeau’s many equally-treacherous actions against Canada’s majority population have solidly established him as Canada’s undisputed First Official National Fool, not as a respected 23rd Prime Minister. Here is the key point in this situation: By accepting the excuse given by the Saudi teenager (and having Foreign Affairs Minister Chrystia Freeland support him with an equally ridiculous statement), Trudeau has further extended Canada’s definition of the term “refugee”. This is another extremely foolish precedent. And there seem to be signs of even more foolishness on the horizon. As a result of political and economic turmoil in Venezuela, Trudeau may soon create even more foolish extensions. If there is one thing that Trudeau is adept at, it is in making stupid decisions.